Who do you think justified this Gaurav Gupta creation – Varun Dhawan or Shahid Kapoor? Fashion is so often repeated these days, right? It’s no longer restricted to our celebrities wearing only custom made outfits that will just find its place in their wardrobe. The term ‘haute – couture’ which was once a trend and extremely essential to match your standards is an age old thing and celebs don’t mind when their contemporaries share any outfits similar to theirs. Is this the reason why we spot many celebs in similar outfits these days? It is not just actresses who flaunt their affection for a particular designer and his creations but even the actors are known for sharing their penchant for the same. While actresses like Deepika Padukone and Sonam Kapoor have been clicked wearing similar designs from same fashion houses, the recent names to join the list are – Varun Dhawan and Shahid Kapoor. 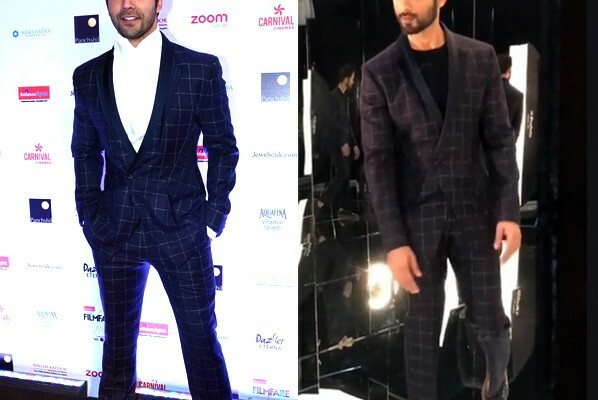 Yes, these handsome hunks of Bollywood, Varun Dhawan and Shahid Kapoor were clicked wearing a similar checkered suit from the house of Gaurav Gupta at two separate events obviously. While Varun preferred the ensemble for Filmfare Style and Glamour Awards 2017, Shahid’s stylist opted it for his recent photoshoot. The checkered suit by Gaurav Gupta is a good choice for someone who’s blessed with good looks, great physique and a desirable personality. We must say, Varun and Shahid’s off screen style has undergone a change, which is commendable. The two are versatile actors and their energy reflects in their dressing sense as well. 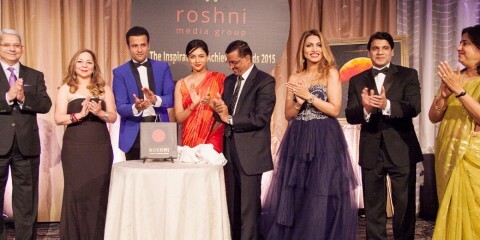 The only difference between Sasha and Varun’s attire was the colour of their shirt. While Varun opted for a white shirt with his attire, Shahid preferred to go for a plain black round neck t-shirt. Honestly we loved Sasha’s styling and for some weird reason, he’s able to pull it off better than Mr Dhawan. Shahid Kapoor went on to win hearts with his critically acclaimed role in Vishal Bharadwaj’s Kaminey and followed it up with Haider. Lighting up the silver screen with their affable nature, infectious smile and charming antics, Shahid and Varun are always keeping up the shenanigans with their off-screen style by suiting up or going casual. So, here we have two of the best dressed men in the tinsel town fighting it out to impress you folks by pulling off this similar checkered suit with their signature enviable aplomb. 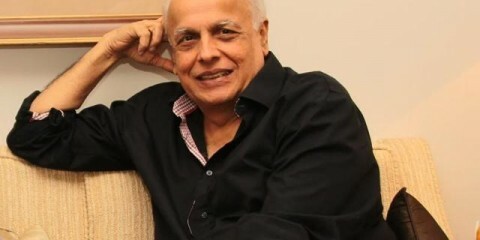 While we personally loved Mr Kapoor. 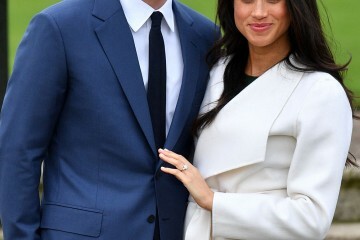 Priyanka Chopra Spills The Tea On The Royal Wedding: Is Meghan Markle Being A Bridezilla?